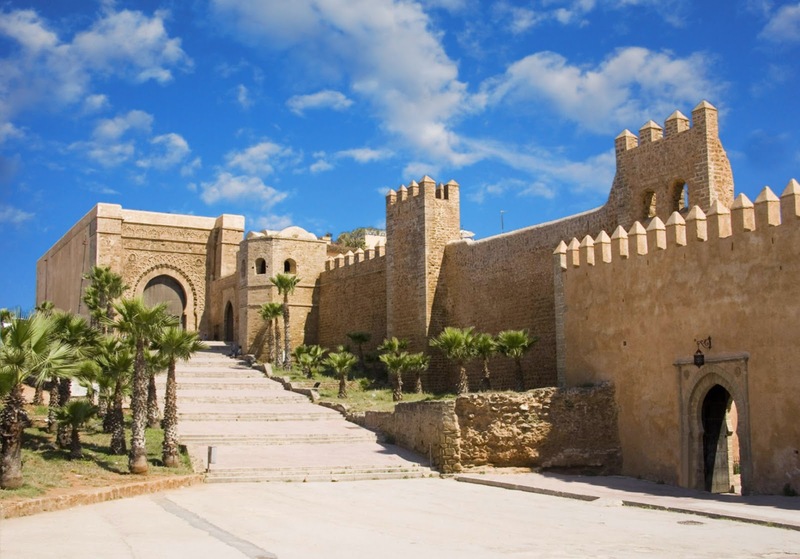 During this heritage coltural tour from Casablanca, you will explore the most attractive and interesting places in Morocco, a country set between the Mediterranean and the Atlantic Ocean runs from east to west a long mountainous strip and then sinks to the south in the sand of Mauritania. 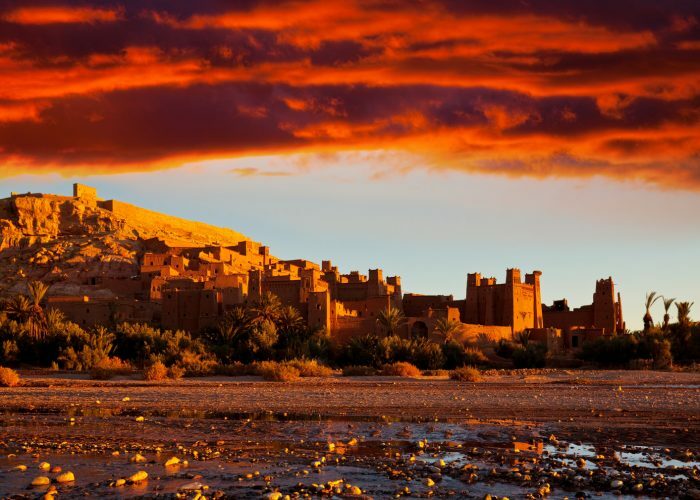 The landscapes are many and breathtaking: dizzying snow-capped peaks of the High Atlas, rugged and ravineous highlands of the Rif, dense forests of oaks and cedar of the Central Plateau, fertile plains of the Meseta, arid lands of the highlands, semi-desert steppes and lush oasis of the basin of the Sous, sand dunes of the Sahara. It’s magic ! 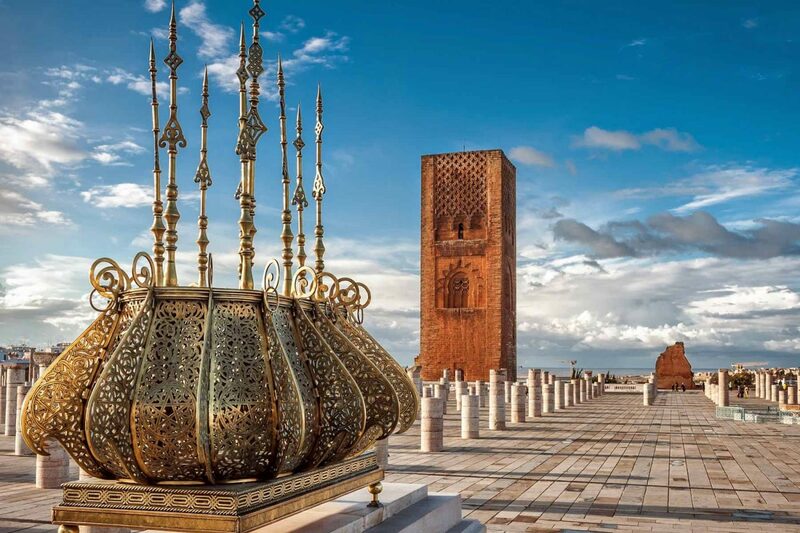 After breakfast you will set out first to Rabat, where you can see the remains of the Hassan Tower, the minaret of the incomplete mosque. 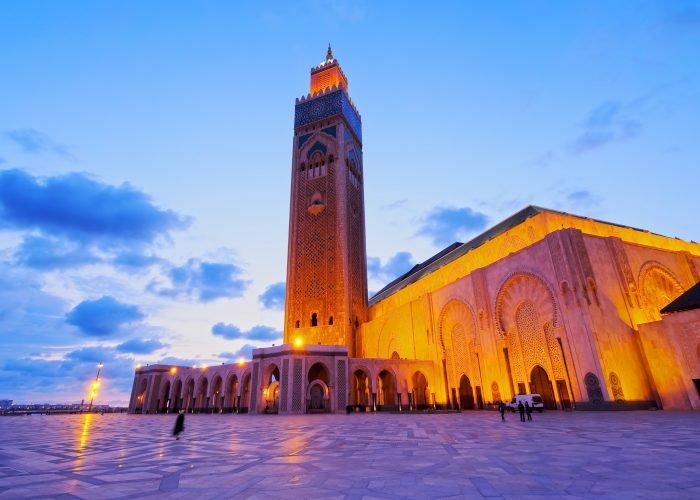 Its construction began in 1195 and was intended to be the largest minaret along with the largest mosque in the Muslim world. 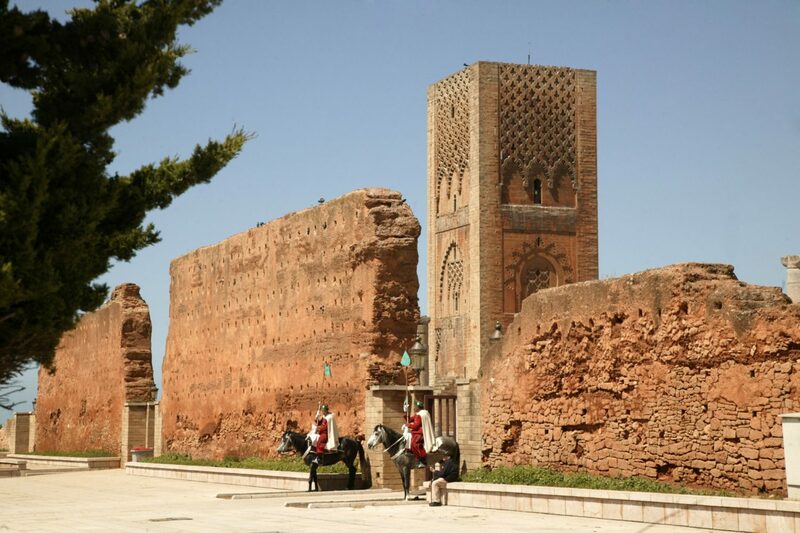 Then you will drive to Meknes for a city tour of this once Imperial city. You will head first to the ancient Roman ruins at Volubilus, located very nearby. 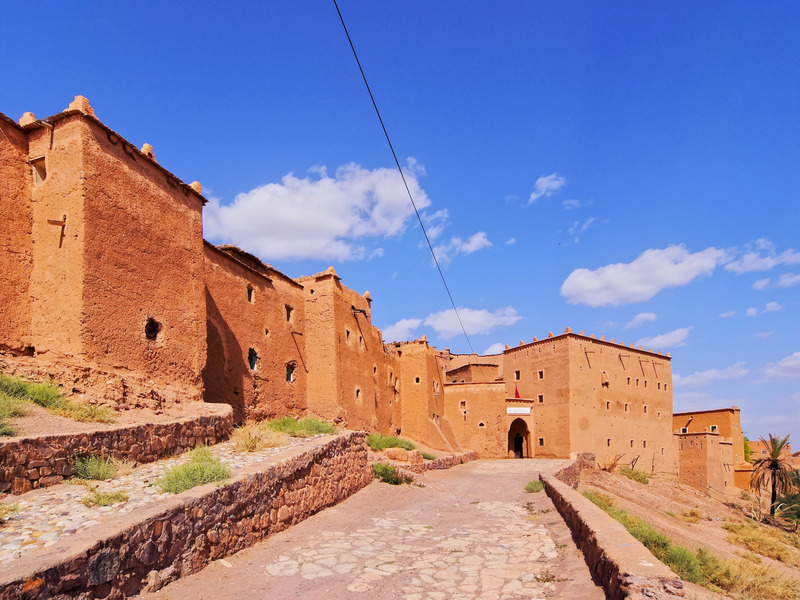 Following your tour you will get on the road heading to Chefchaouen, the Blue Pearl, a city set in a picturesque mountain setting and famous throughout the world for its blue washed buildings. 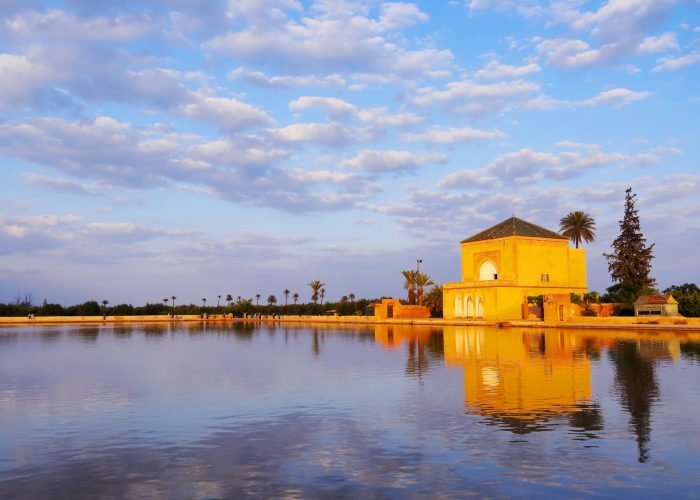 Enjoy the peaceful medina of this blue city nestled in the side of the Rif Mountains. 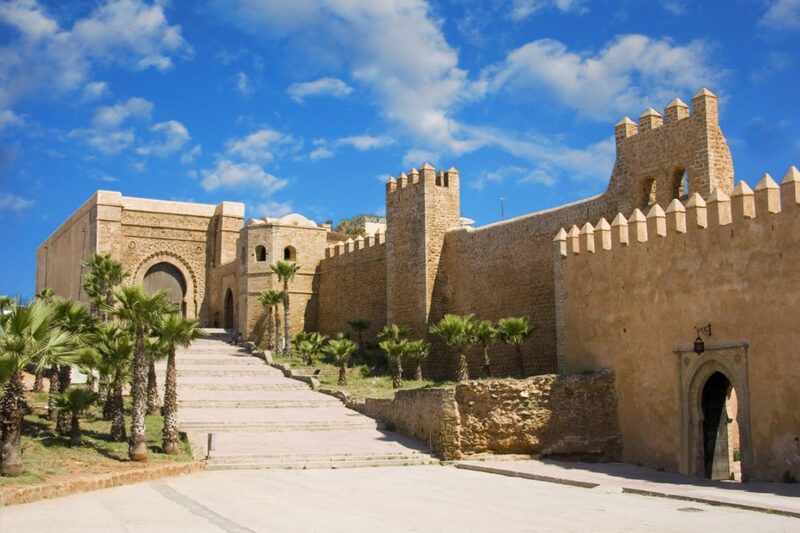 Following a peaceful lunch you will set out towards Fes, your destination for the day. Afternoon touring around in Fes. This 1200 year old city has made a huge impact on history as an important and self confident city, where new and old live in perfect harmony. With a local guide you will be treated first to a panoramic view of the cities sprawling old medina, tucked between rolling hills and the largest urban car free zone in the world. With over 900 named streets you will be thankful for having your guide as soon as you enter the delicious sense of the medina. 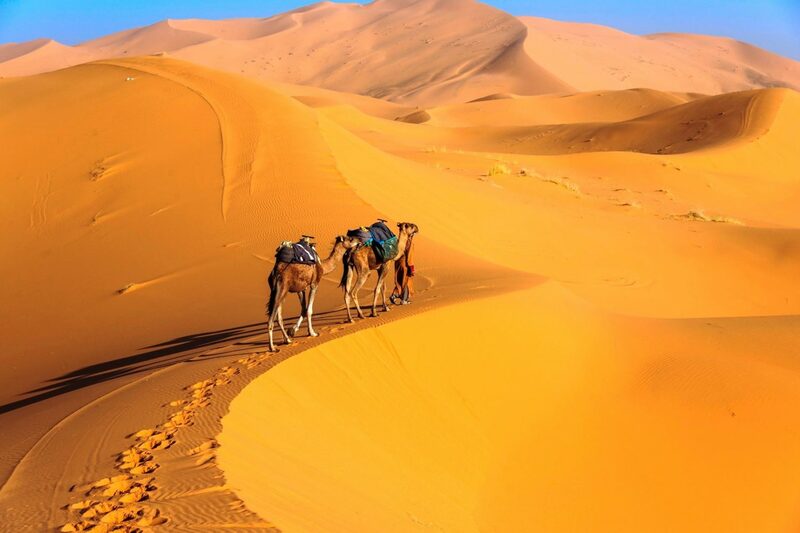 Today you will leave the city of Fes and the north of Morocco and travel south to the Sahara Desert. You will notice an incredible change in landscape along the way. Through the cedar forest and a national park keep your eyes open for a chance to see Barbary apes (Macaque) and Berber horses. You will pass by beautiful pastures and nomad houses that give way to increasingly high mountain peaks and deep valleys. 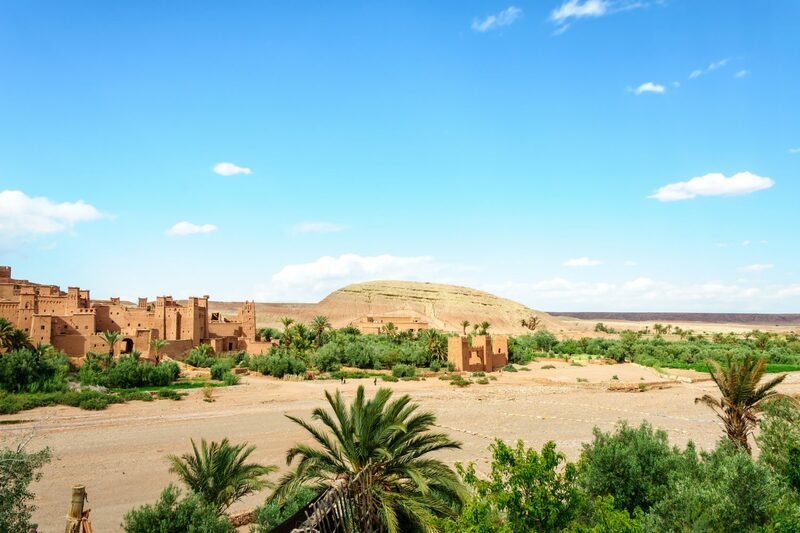 You will come upon Midelt and its vast collection of fossils at lunch time and then continue on through the High Atlas Mountains. 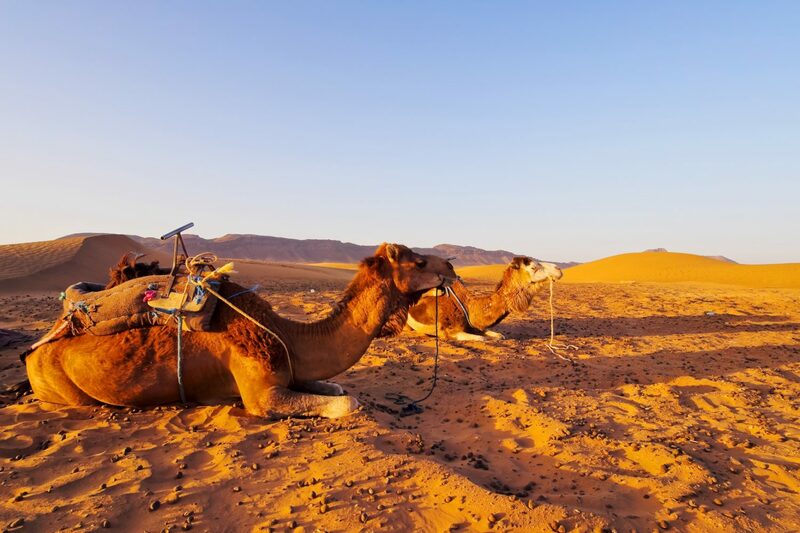 Today you will leave your Sahara camp and travel along a spectacular route called “ The 1000 Kasbahs Valley”, where there are literally thousands of kasbahs, some in ruins and some still in use. 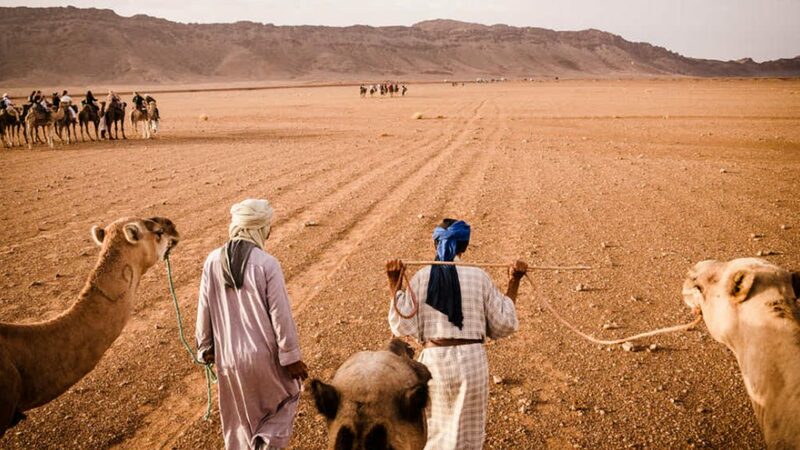 Heading through Erfoud towards Tinejdad, the landscape is still very dry and you will see mounds of the old irrigation system called “khettaras” before arriving in Boumaln Dades for the night. 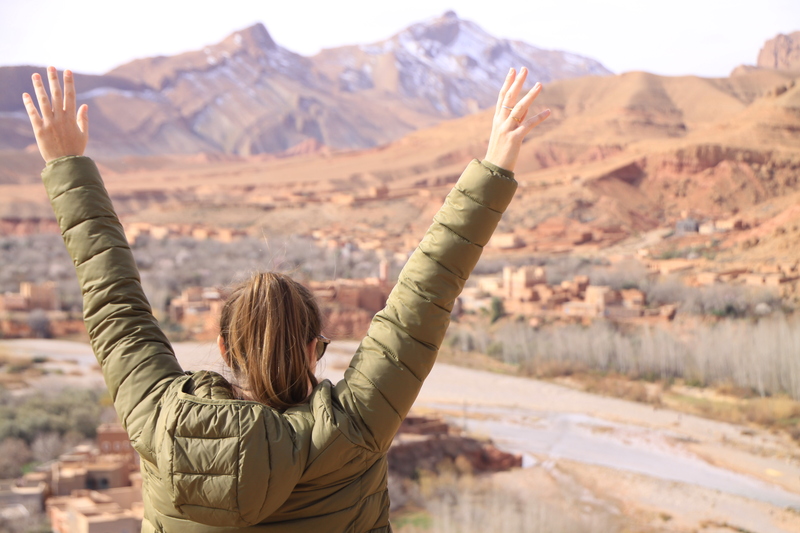 The Ourika Valley is the ideal place for a day trip to the gates of Marrakech but this unique place has many other assets to seduce you. 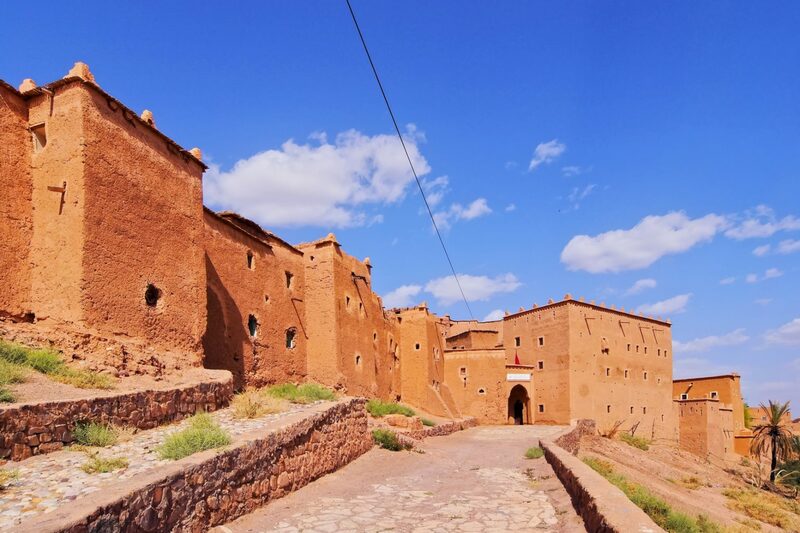 Take the road to the Atlas and cross beautiful landscapes between immensities of green meadows and authentic Berber villages of the sixteenth and seventeenth centuries. 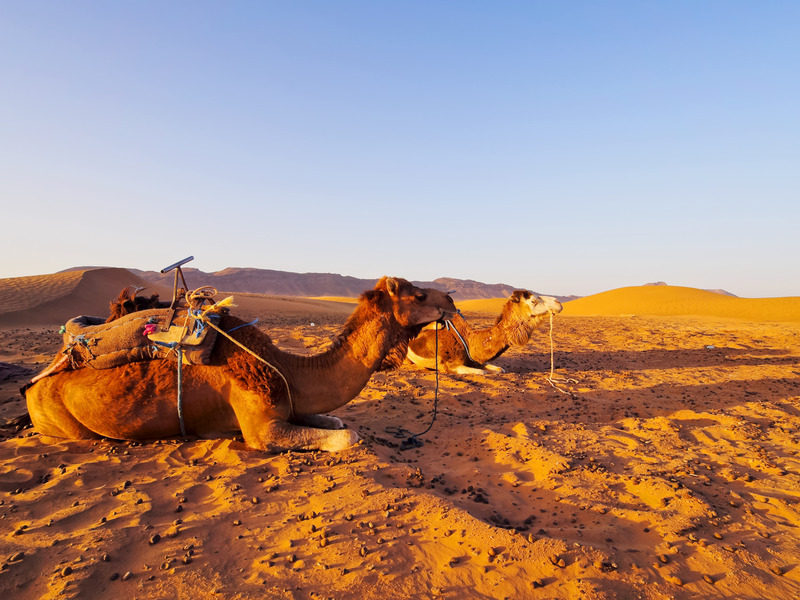 If you choose to make this trip on a Monday, you will even have the chance to stop in a souk located at the edge of the road. Discover many orchards, terraces where all sorts of vegetables grow, but also small villages like hung on the hillsides. 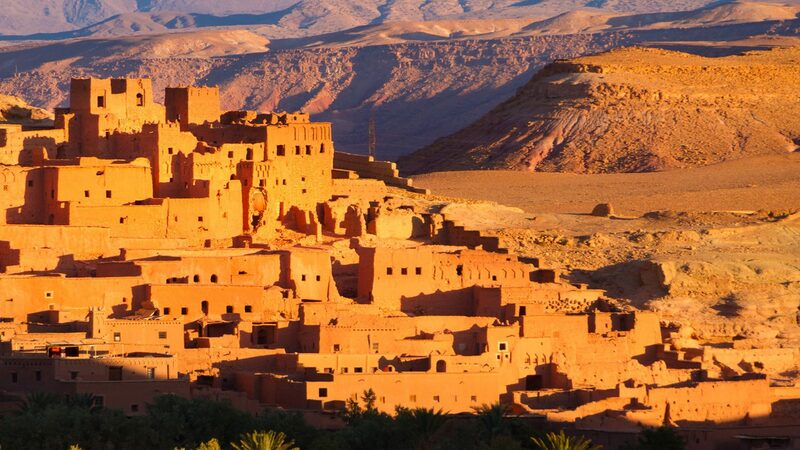 You will be amazed by the fruits of the work of the Berbers who had to climb the hills with the necessary equipment for the construction of these small villages and who worked to create the terraces in a very difficult environment. 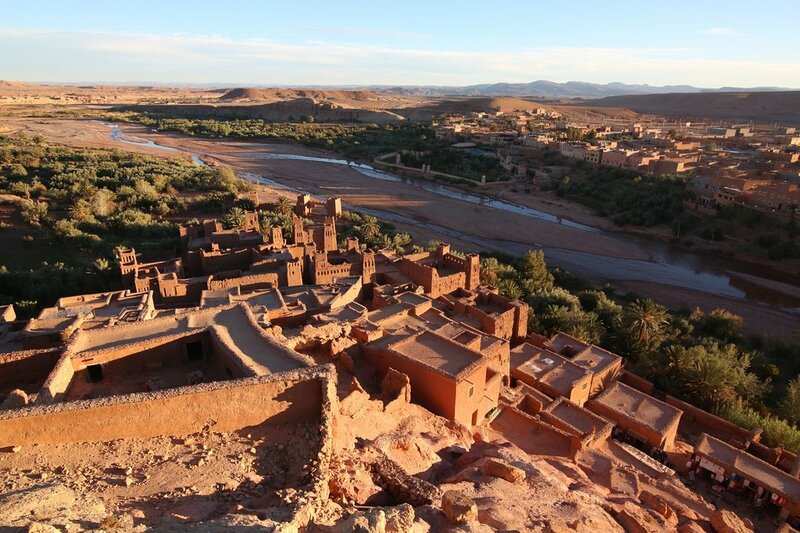 Continue your way through the valley of palms following the Ourika, the local river. On the road, discover many fruit trees, tiny villages, the river bordered by a few restaurants and holiday homes of lucky lucky few. Then go to Setti Fatma for a refreshing moment in the shadow of the seven waterfalls located on this amazing place. Feel the water whip your face and enjoy this moment away from the scorching African heat. 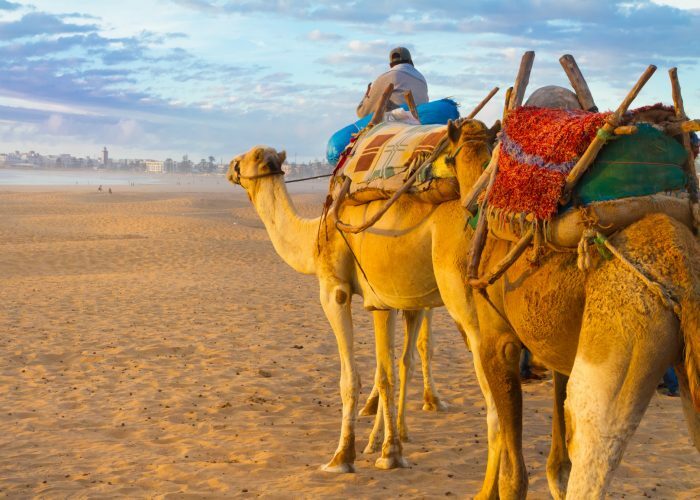 Meet some of the authentic inhabitants of Marrakech who made this amazing place their favorite weekend destination.